Dr. Shiroko Sokitch was originally trained in general surgery and worked as an emergency room physician for over ten years when she noticed that many of the patients she was treating were struggling with pain and other chronic health conditions. She decided to attend to acupuncture school and later studied functional medicine. She now owns and operates a successful integrative primary care practice using the best tools from Western, Eastern, and functional medicine. Learn how Dr. Sokitch was able to successfully transition from traditional medicine to functional medicine. She shares her unique practice where she uses different types of therapeutic modalities, her seven keys to healing, and touches on her new book, Healing When It Seems Impossible. This is a great podcast if you’re interested in integrative or functional medicine as well as the success of one practitioner and how she was able to integrate so many different types of therapeutic and healing modalities under one roof. I’m excited to be here with you. 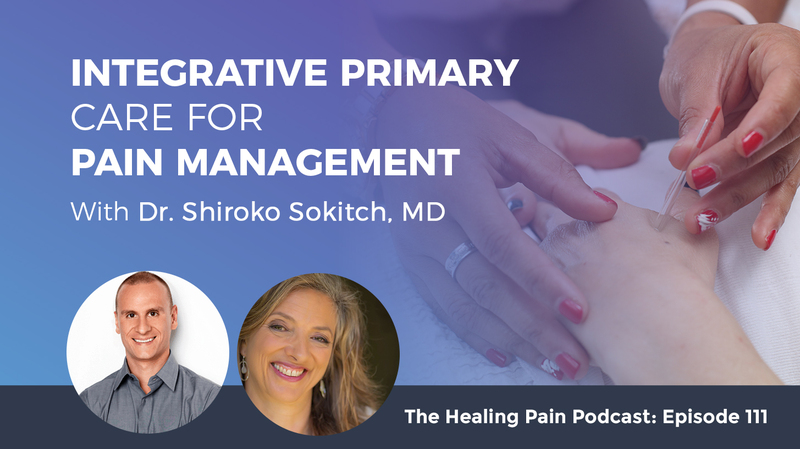 On this episode, we’re going to be exploring the inside of an integrative primary care pain management practice. My guest is Dr. Shiroko Sokitch. 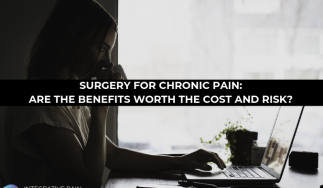 She was originally trained in general surgery and worked as an emergency room physician for over ten years when she noticed that many of the patients she was treating were struggling with pain and other chronic health conditions. She then decided to attend to acupuncture school and later studied functional medicine. She owns and operates a successful integrative primary care practice using the best tools from Western, Eastern and functional medicine. She’s known in our area as an expert in healing difficult to treat health conditions even when it seems impossible. On this show, you will learn how Dr. Sokitch was able to successfully transition from traditional medicine to functional medicine. Her unique practice where she uses different types of therapeutic modalities, her seven keys to healing and all about her new book about Healing When It Seems Impossible. This is a great podcast if you’re interested in integrative or functional medicine. As well as the success of one practitioner and how she was able to integrate so many different types of therapeutic and healing modalities under one roof. Welcome to the podcast, Shiroko. It’s great to have you on. People probably remember you because you’re on at least one if not two of my Healing Pain Summits. It was many years ago, but it’s great to have you back on. Let’s refresh everyone’s memory. Tell me about who you are and the journey you have to get, where you are now in your practice and the way you practice in the way you help people. Take us back to medical school when you first decided to become a doctor and what that looked like. I wanted to be a doctor since I was five. In medical school, I always thought that I wanted to be involved in natural healing. My first thought in medical school that I wanted to do family practice. When I was in my third-year emergency room rotation, I got to save a life for the very first time and it was a guy who came in with a gunshot wound. I got to go to the operation and it was like my first because I did ER before I did surgery. It was my first opportunity to go to the operating room and we literally saved a guy’s life from one moment to the next and it was so thrilling. My whole time in that emergency medicine rotation was always explosive. Everything was always super dramatic. I ended up deciding I wanted to be a surgeon at the last minute in the application process of the residency programs because you start applications in your third year of medical school. I got into a residency. I started with surgery residency. Within my first year, I began to see things that even though you are saving lives sometimes, a lot of times you’re causing more pain. You’re having to deal with people’s long-term chronic problems that are not being solved necessarily by what we’re doing. I also reached a crisis in my own life where my whole life, I’d wanted to be a doctor. Here I am, I’m finally a doctor and I’m spending 120 hours a week in the hospital and what else is there? I started to ask those questions. In my second year of residency, I began to feel that disillusionment of where I wanted to help people better, but I also had my own crisis of what was my life going to be about if I worked 120 hours a week? I took a month off from my residency and began exploring other things. During that time, I had a dream that if you stay in surgery, you will die. I started thinking about, “What else could I do?” In that time, somebody gave me a book called The Web That Has No Weaver, which is a book about acupuncture and Chinese medicine. It was written in 1976. It’s an old book, but it took all the science of Chinese medicine and how people get healed with the whole concept of Chinese medicine. I was fascinated and I wanted to do that. I decided I was going to finish my second year of the residency program and then go work in the emergency room and then study acupuncture. That’s what I did. I decided to leave my residency. I went to work in the ER. I loved ER medicine. It’s mostly exciting and interesting and I went to acupuncture school. After four years of medical school, you’re in your residency, you’re working 120 hours a week? At that point you’re so immersed in the Western biomedical model and then you have an acupuncture book, the traditional Chinese medicine acupuncture book in your hand. I’m curious how you’re holding those two types of approaches at one time or are they starting to compete with each other in a way? Interestingly not for me. I had taken this month off from my residency and reopened up to the idea of healing. Then in medical school and at the beginning of residency, it was more about what you did and what interventions you did and not so much about healing. People went home to heal. We didn’t intervene in that way. As I read this book, it talked about energy and flow and how balance had to happen in the body. It made so much sense to me that acupuncture is an intervention. I’m like my surgeon’s personality was allowed to put needles in people, which is an action that you could take that made a difference in people’s health. During my second year of residency, I spent two months on the burn unit. I was at the county hospital so we had some very injured people and their pain level was ridiculous. You’re peeling somebody’s skin every day to help them heal a wound that is so deep in their tissues and there are so many nerve endings and we could not manage their pain. We’d give them narcotics, but that was not enough to manage that level of pain. Reading that book at the same time as being on the burn unit and seeing people in pain and thinking, we could manage their pain by redirecting the flow of energy using acupuncture and that made sense to me. To me it began to weave together over the course of reading that book and then going to acupuncture school and starting to see that they could be connected and that they didn’t have to compete. It sounds like in a way acupuncture, traditional Chinese medicine was almost like a missing link to what you’re noticing in working in the hospital. Especially because even in the ‘80s when I was in residency, we often had patients that we didn’t have answers for what was wrong with them. We’d search and research and we do the best that we could and we still don’t have answers. In Chinese medicine, there’s a whole system of explaining things that don’t make sense. I was able to make sense of things that I couldn’t make sense out of with Western medicine. I was able to have answers when I couldn’t necessarily find them. Tell me a little bit about that system because traditional Chinese medicine was not something we’ve talked about frequently on this podcast. We talked about it briefly with Nalini Chilkov who was on the show. Tell us about the framework and philosophy of that approach. The whole idea is that your body is made up of energy and energy travels through your body in certain patterns. When your energy is out of balance, there are problems. The internal organs all have functions. We have the same organs, the heart and the liver and the kidneys and all that, but they have different functions than they do in Western medicine or in addition to the same ones that we do as we understand them. The heart still circulates blood but it also has additional functions. For example, the lungs regulate your entire respiratory system starting with your nose, your throat, your physical lungs, your skin, your large intestine, the emotion of grief and the bodily soul. They protect you from things that come in from outside, meaning they’re the root of your immune system. The lungs and the large intestine make up your outer most layer of energy. Your body is made up of energy, and energy travels through your body in certain patterns. When your energy is out of balance, there are problems. When somebody has a problem, this is common in Western medicine where a person will have allergies and asthma, but also have digestive issues, large intestines or they’ll have skin problems and it will bounce back and forth with large intestine issues. In Western medicine, those are separate but in Chinese medicine, they are all connected to the same pattern. You can also link that to an emotional and a spiritual component because there’s the emotional and spiritual issues that are connected. It’s all about how energy flows and where it’s out of balance and then how to get you back into balance. There are a lot of ways of making sense of things that maybe don’t make sense in Western medicine sometimes. How much of that do you use in practice now? With every patient there is some acupuncture intervention? Not necessarily because not everybody wants acupuncture, but there’s always the Chinese medicine. Most of the people who come to see me have mysterious issues or they’ve tried many different things and they haven’t worked. I have to use that understanding of Chinese medicine to understand them from the Western perspective. Now, I have functional medicine because I’ve studied that for the last many years as an adjunct. When I find an imbalance from the Chinese medicine perspective, I’m now able to use functional medicine to intervene on a bigger level. I have this like double whammy. Tell me how you circled back to functional medicine. Even though some would say that functional medicine is “alternative,” but it’s still pretty rooted in a biomedical model of treating the body. I love functional medicine because it’s the Western version of Chinese medicines. It’s all about balance. It’s all about looking at a person from a whole perspective and it uses systems rather than individual organs. That’s what Chinese medicine does. How the organs work in Chinese medicine is an energy system and in functional medicine it’s also an immune system or a hormonal system or energy system imbalance. When I see a patient on the initial visit, I spend an hour and a half and I ask all those questions, “How’s your sleep? How do you eat? How you exercise? How do you feel in an everyday environment? What happened when you were born?” The whole timeline of things and I’ve always done that. With the functional medicine adjunct, it’s like when you’re out of balance, what organ is out of balance? Then I can use that to figure out which tests we’ll do. Let’s say their energy systems are out of balance and I’ll look at hormones or I’ll look at their digestive system. There are all these different ways of testing saying things to get a better understanding of what’s going on with someone. Functional medicine is all about balance and looking at a person from a whole perspective and how it uses systems rather than individual organs. When someone comes into your practice, you have traditional medicine, you have functional medicine and you have Chinese medicine. Let’s take someone who comes in with chronic pain, fibromyalgia. How do you start to apply all these at once or over the course of a couple of different sessions? Usually in the first visit, I’ll get the whole story. Where did it start? I usually go way past that. Not just where it started but what happened when they were kids? What kind of illnesses did they have as kids? Were they breastfed? All that history is vitally important because it lays the foundation of their health. I ask questions that are specific to Chinese medicine because like how you sleep is a very important element in Chinese medicine. It’s also important in functional medicine. A lot of the questions blend in with each other. I’ve been doing this for so long that sometimes I’m like, “I’ve asked these same questions literally thousands of times, but they always give me a picture.” How the person answers and how they look when they’re answering and what they say. Then I do an exam. The Chinese medicine exam is feeling your pulse and looking at the tongue, which tells me about the different organs. Then I do a Western exam, which doesn’t tell me that much unless it’s grossly abnormal. There’s not that much information to be gleaned; blood pressure, heart, lungs and things like that. I take that information and it helps me see where they’re out of balance. There are twelve pulses in six positions on the wrist. I’m learning about the heart, the lungs, the liver, the spleen and all of the organ. Based on what’s out of balance, I decide, “We need to look at this or we need to look at that.” People with complicated long-term pain like fibromyalgia, usually there’s a long history of something and it involves their digestion. It involves their hormones and involves their immune system. It involves all of those things and it involves their nervous system. For me, acupuncture is one of the best ways to deal within the nervous system because a lot of the science on acupuncture is that it goes directly into the nervous system and helps re-adjust whatever signals are being sent from the nervous system. To segue us into the topic of your book that’s come out and how did that spring to life in your practice or through a traditional Chinese medicine. How did you start to focus in on those types of topics? My book is called Healing When It Seems Impossible and it’s based on many things, partly personal experiences that I’ve had. Partly the health of my patients who have difficult issues that sometimes seem impossible. I’ve dedicated my life to helping people have miracles. My search, my personal quest has been like, “Where’s the miracle? What does it take for you to have a healing that is massive not just feel better, but to feel great?” Healing is bigger than just getting well from a disease. Healing is feeling like you’re thriving and vibrant in your life and having purpose and all of those things. There are seven keys to defy the odds. This is based on all of the things that I’ve done for the last 25 years and the most important is love. Part of that comes out of my own personal experience where years ago I ended a marriage that broke my heart. It was through healing of my broken heart that I learned how important love was. Without love, I couldn’t move forward and without committing to love. What happened was that I became the love that was in my life. The love of my friends helped me heal but more than that, it was committing to love that helped me be a bigger person and help me be better at what do. It was that whole experience that helped me grow to that extent. Then in working with patients, once that element came in the love element, I realized that they got better results. I started researching what did love have to do with it and I wrote a blog called What’s Love Got To Do With It? There’s a company called HeartMath and they’ve done a ton of research on the connection between heart and healing. You can change your DNA by directing love at a strand of DNA. You can achieve miracles by loving more. One of the things that happens when people feel crummy is they feel betrayed by their body. They feel angry that their body is not doing what they want it to do or not behaving how they want it to behave. The message is to expand rather than to contract, to put more love in rather than to be angry at your body to love it. It begins to help with the healing process. If you approach your body as if it was your friend rather than your enemy, when you don’t feel loved, if you do that, you start to feel different. You’re not dealing with an enemy here. What are you trying to tell me? What’s going off? It starts being a different process. How do you take the concept and start to infuse that into your modified primary care practice on some level? How do you bring love or bring that concept into practice? I try to be loving with my patients. The whole setup is about love. When they come in, they’re greeted, they are welcomed. Not as a hassle, but as you’re welcomed here and I care. I email people and I text with people. I create that relationship because the relationship especially when it’s difficult in a healing relationship is most important. It’s that relationship between them and me. I always give a fifteen-minute free consultation because I want them to feel connected. If they don’t like me or if they don’t feel that connection with me, then me as a healer is not going to be effective. That connection is the first thing that has to be established. Then it’s their connection with their own bodies. I talk to them about their bodies being their friends and trusting their body when it’s telling them something. I do that in many ways. When somebody tells me their experience, I believe them. I remember when I was an ER doc, people would come into the ER and they’d say, “I’m in pain. I need this medication.” I didn’t believe them. It’s almost an adversarial premise because if they’re looking for drugs, you have to not trust what they’re saying to not give them the drugs. In this setting, I trust what they’re saying because I’m there to help and I’m there to listen. Whatever’s happening in your body or that person’s body is what’s happening. I don’t live there, so I can’t know. 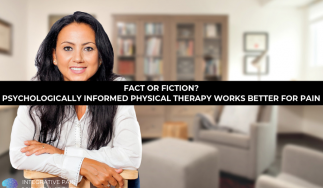 A big part of what you’re saying is that you take time to develop the therapeutic bond and to work on the therapeutic relationship, which starts to inform everything else that happens moving forward with that patient. There’s a lot of research on that. There’s a lot of research on rapport over method. That it matters less whether you’re using traditional Chinese medicine or functional medicine or traditional Western medicine. It’s the bond that starts to develop the rapport between whatever practitioner you’re choosing and the patient that is oftentimes the most important. It starts to inform the patient’s beliefs and inform of the patient’s expectations. What else are in those seven keys that you can talk to us about? The second key is the physical balance element. This comes from Chinese medicine. The idea is that when your body’s in balance, you can heal from anything. That’s the basic premise of Chinese medicine. Those elements, taking the blend of Chinese and Western medicine or your hormones, your nervous system and your immune system. I call it the Triangle of Wellness. No matter what you have, if you get those three things in balance, it creates the substrate for getting better. If you don’t have those things, then you can’t get well. If your immune system’s not working or if your hormones are out of balance or your nervous system is out of balance, there’s no ability to get well. Then there’s other elements of physical healing, like finding the root cause and things like that. The third key is finding your own unique lifestyle. We start with your unique lifestyle because there are so many elements. How you eat, how you sleep, how you exercise and all those things. What’s your attitude? Those all make a difference in getting well. The fourth key is learning to listen. Those two play back and forth because learning to listen to your body involves experimenting with your lifestyle. In Chinese medicine, when your liver is out of balance, you have these symptoms. When your lungs are out of balance, you have these symptoms. You can take that information and apply it to your own body. There’s a way of listening to your body and taking the symptoms and going, “This organ is out of balance.” All of my patients who have been with me for some length of time, they know. They come in and they can even look at their tongues and they know, “My tongue looks like this. I think this is out of balance or I need this tune up.” Once they’ve known me for a while, they’ve got that information which empowers them to be in tune with their own bodies is my whole purpose. The fifth key is the emotional understanding. This is another thing I love about Chinese medicine. Each organ has emotional and spiritual functions. When you have a certain imbalance in your body, like let’s say your livers out of balance, which a lot of us have. The liver is connected to the emotion of anger. Let’s say you have this set of symptoms, you might have this emotional thing that’s going on. By tuning into that, it’s not like you have to have years of therapy or anything like that. By being able to connect to the emotional component, it sets you up again to be willing to get well. So much of healing is about awareness and understanding. The sixth key is maybe my favorite besides love is never give up. Have patience and persistence because a lot of times when you have a difficult problem, it feels hopeless. It feels like there’s like nowhere to go and to keep plugging along. When do you give up and when do you keep on going? It can be so frustrating when you’re trying to get well. I call this healing journey a hero’s journey because you’re on an adventure of getting well. So much of healing is about awareness and understanding. Let’s say you have a mysterious issue, or you have a problem that’s difficult, then you’re on a hero’s journey to find the answers. You find your team. Like a lot of heroes, they have to find their team and they have their mission. They gather all the forces and sometimes it looks like it’s never going to happen, but it is eventually going to happen. You keep on plugging away, keep on looking and keep on finding answers. Science is constantly changing. In the years that I’ve been in practice, science has changed hundreds of times. Sometimes one thing that was good for you now no longer is. Science has proven certain things like the cholesterol story which we thought low-fat diet was better, but now we know that having fat in your diet is essential to being well you and things like that. Sometimes the science hasn’t caught up to us yet, which is why I love Chinese medicine because I can look at somebody from an angle of, “Where’s the energy out of balance?” Even if I don’t have a diagnosis, I have an imbalanced that I can help them with. The last key is trusting the process. A lot of times, people have seen ten doctors or they’ve seen all these different practitioners and they think that maybe they’ve been mistaken in that journey but no, our body is one of the schools that we have. On a spiritual journey, a lot of people think that how we relate outside in the world with other people and in our relationships, in our work, in our mission on Earth, that’s what’s important. Our body is as much a part of our spiritual journey as our relationships with others. It’s trusting when to give up, when to surrender and when to accept what is going on and to be okay with that. That’s interesting to me because as you’re talking, I’m playing devil’s advocate and I think chronic pain is a perfect example. There are patients that have been through functional medicine. They’d been on all different diets. They have bags of supplements. They’ve been to physical therapy. They’ve done acupuncture. They’ve worked on their emotions and therapy. They’ve exercised. There are hundreds, maybe even thousands of things that people can try. There are the manual therapies, chiropractic and adjustments. You and I know this well, if we go into the research, has anything on this planet had been able to prevent chronic pain or to stop chronic pain? We all have our success stories where we’ve had patients where the pain is gone or the pain has gone to be so minimal that they almost don’t realize it’s there. However, there’s a whole bunch of other people where pain is a constant and we know part of being human is that there are some suffering there. 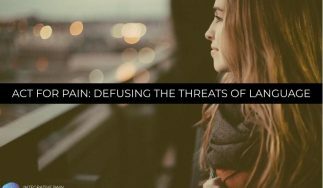 Sometimes someone’s suffering is that they have a life where chronic pain is the one thing they have to learn to hold lightly and walk forward with. They have post-cancer symptoms or the cancer may have gone away, but they still have symptoms that are not treatable. That seventh key is probably the one that interests me the most because I think that is the key for many people. Diabetes, if you exercise and you eat right, chances are you can reverse that to a pretty good place where you can walk forward in a healthy way. There are a lot of people out there and you probably see them because it sounds like people come to you as a last resort. How do you start to work on that key and start to help someone move forward with their life in a way that they’re still willing to live their best life? That chapter was difficult to write. I lived the whole book and there’s this moment where everything seems dark, where it does seem hopeless like, “Am I ever going to feel better?” What happens if that piece is not going to get better? How do you get there? How do you get to a different place? How do you accept that maybe that will never change? I have a patient who when she was sixteen, she fell into a swimming pool and she broke her neck and she’s a quadriplegic. She is a beautiful example of something that’s so difficult to accept but somehow, she’s learned to live with it and she lives in amazing life. She’s well-supported by her family. Her mom takes care of her mostly hand and foot and she has a little bit of use of her hands and she is in a wheelchair for her life. They’ve tried stem cell therapy and all these different other things. Walking is not in the cards for her. She went to school, she graduated from college. She wanted to be in hotel management or event planning. She tried it for a while and now she’s into nutritional therapy. She’s moving forward with her life and has come to a certain level of acceptance of where she is and creating a career for herself. Creating a business and doing something in spite of the fact that every single day she’s in pain and she’s bound to a wheelchair. There are many different things that come into play when you come to a place where you have to accept something that seems completely unacceptable. That’s why the book is called Healing When It Seems Impossible. You can still heal. You can still be a whole person in spite of those things. I always tell people it’s not that no one ever accepts that I have to live a life of chronic pain. No one ever accepts that I had diabetes and my foot had to be amputated. No one ever accepts that I had a spinal cord injury and now I have to use a wheelchair instead of using the legs I was born with. There is a place and sometimes it takes some time where you say, “This exists and this is a part of me, but it’s not all of me.” You learn to add other things on top of that, which are bigger than what you thought you were. Our body is as much a part of our spiritual journey as our relationships with others. Finding that is a challenge. It’s a journey, but it’s oftentimes the bittersweet journey that when you look at people who have negotiated that and who have taken that trail through the mountains over the ice and glaciers and when they get the other side, there’s a life there. A life force that is undeniable. They create some beautiful things from it. It sounds like your patient who uses a wheelchair is doing. If people want to read your book, tell us where they can find out how they can access that. It’s on my website, HeartToHeartMedicalCenter.com/Book. It’s available on Amazon too. You can look up Healing When It Seems Impossible or Shiroko Sokitch, either one. If you go to my website, then you’ll get free gifts because in the book, there are a lot of exercises. A lot of things that people can do to grow those elements of themselves. I made a workbook out of that that is available as a free gift and there are a few other free gifts if you go through the website. We love free gifts, especially on this show. You can all access Shiroko’s free gift and her book by going to her website. The book is called Healing When It Seems Impossible. You can get it on that website or you can hop on over to Amazon. I want to thank you, Dr. Shiroko Sokitch, for being on the show and for doing all the work you do. I know the book is going to be great and it’s going to start to open up spaces for people that they didn’t know they had such an open up avenues for them to heal. Make sure to go check out the book and make sure to share this podcast with your friends and family on Facebook, LinkedIn, Twitter or whatever your favorite social media handle is. Hop on over to DrJoeTatta.com/Podcasts. On the right-hand side of the page is a little box you can put in your name and email address and you can sign up for the podcast. I’ll send you a new podcast each week into your email box. Thanks for being with me. I love you all and we’ll see you next week. Shiroko Sokitch MD is a doctor who cares about you! Trained in general surgery, and working as an Emergency room Doctor for 10 years while attending acupuncture school, gave Dr. Shiroko a broad range of medical experience. Her new book – Healing When It Seems Impossible – 7 Keys to Defy the Odds a book about her unique and comprehensive healing approach is available on Amazon.